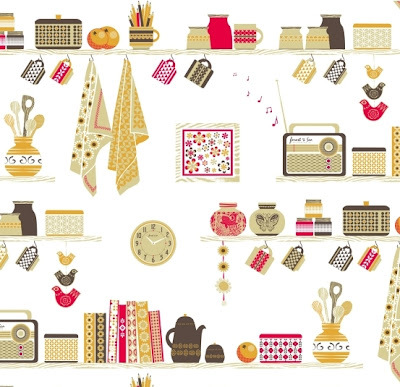 Spoonflower are keeping with the trends for this week's contest by combining a kitchen theme with a retro one. The palette was limited to these four colours plus white; I really needed to see some blue or green after staring at this for hours but for the retro-vintage theme, they were perfect. Details - click for larger view! I absolutely love this illustration. You're truly gifted. That's so kind of you Judith - thank you! oh my! I just discovered your pattern trough spoonflower, I think yours is the greatest and it should have won the contest, it's so beautiful! 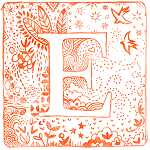 Thanks for clicking through on spoonflower and for your super generous comment, Carol!